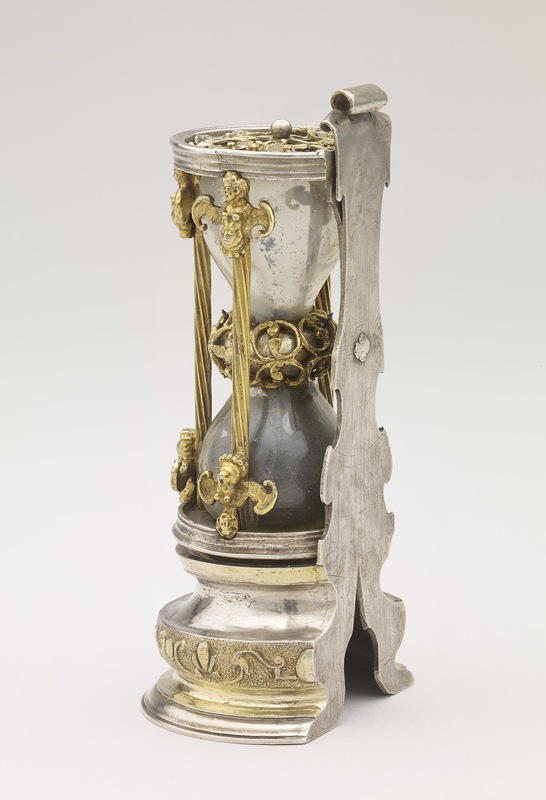 Sand-glass; mounted to revolve; silver parcel-gilt stand; band of scrollwork round neck; circular plate with relief scrolls at each end; plates joined by three twisted columns with two terminal winged figures on each; moulded base with band of scrollwork. O.M. Dalton, 'The Waddesdon Bequest', 2nd edn (rev), British Museum, London, 1927, no.223.